The Research Grant Programme 2016 financially supports academic and scientific research that will deepen knowledge of the nature conservation in developing countries in the Asia-Pacific region. With the aim of strengthening research capacity of young researchers in that region, grants are available only for individual researchers, but not for groups/teams, to enhance their skills, knowledge, and experience through their own research work. The maximum grant size in this programme is 500,000 Japanese yen per project for a maximum duration of two year. 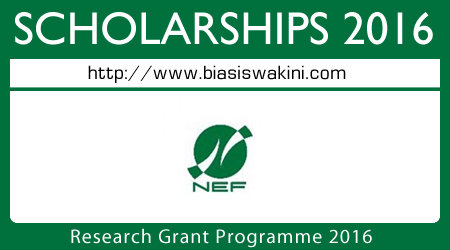 - not have another on-going research or publication project funded by the NEF at the time of application submission. - be exclusively funded by the NEF Research Grant Programme, or co-funded with the applicant's institution. - other expenses only when the NEF Secretariat approved. - general administrative expenses and overheads; etc. - submit a final report , with photographs taken and a detailed financial report, upon completion of the approved research. subsequent year(s). 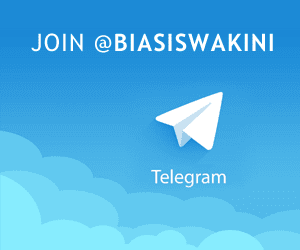 Those recipients wishing renewal should follow the same application procedure above. The NEF Selection Committee evaluates progress/final reports and other items resulting from the funded research as well as renewal application. Please be sure that submission of renewal application does not guarantee additional grant funding. Submission of such additional applications is acceptable after completion of the funded projects and up to one time. 0 Komentar untuk "Research Grant Programme 2016"